Irish singer/songwriter Hozier has released an acoustic video for “To Be Alone.” The track is from his EP From Eden, and it’s the type of song that makes an immediate impression with Hozier’s powerful vocals. He will be back in the U.S. for a short run of tour dates beginning this Saturday at the Sweetlife Festival in Columbia, MD. Check out the full list of tour dates below along with the video. 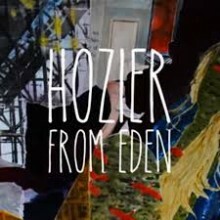 Irish musician Hozier has released an acoustic video for new song “To Be Alone” off his recently released From Eden EP: http://youtu.be/bH9mRs3sW7A. Teaming up once again with “Take Me To Church” director Brendan Canty (Feel Good Lost), Hozier’s stunning “To Be Alone” was shot as one long sub-6 minute live performance in a deserted hotel ballroom in Co. Kilkenny, Ireland earlier this year. Paste debuted the video, and said of their introduction to Hozier at SXSW, “his echoing voice and gospel-inspired backup sounds had us hooked from the very first note in St. David’s Church.” In addition to his showcases at SXSW, Hozier also performed sold-out shows in NYC and LA in March and will be returning in May for additional headlining dates, which all sold out on the day they went on sale. Hozier’s upcoming tour dates are below. “Take Me To Church” is currently in the Top 15 on the Triple A radio chart, with early support from Philadelphia’s WXPN, who selected “Take Me To Church” as their Gotta Hear Song of the Week and My Morning Download, Sirius XM, and Los Angeles’ KCRW, who called him one of their Bands to Bank On for 2014 and also had him record a session on their Morning Becomes Eclectic program. He is currently completing work on his forthcoming full length, due later this year.